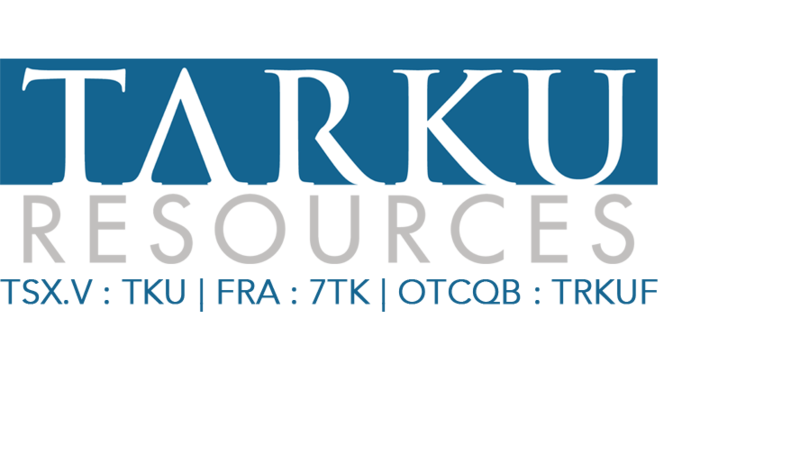 CRANBROOK, BRITISH-COLUMBIA, JULY 19, 2016 Tarku Resources Ltd. (TSX-V: TKU) (the “Company” or “Tarku”) announces that it has completed the second and last tranche of its private placement (the “Offering”) and has raised gross proceeds of $155,000 The second tranche closing consisted of 3,100,000units (the “Units”) at a price of $0.05 per Unit. Each Unit consists of one common share in the capital of the Company (a “Share”) and one common share purchase warrant (a “Warrant”). Each Warrant will entitle the holder to purchase one Share at a price of $0.10 exercisable for 24 months. The Shares issued are subject to a statutory hold period in accordance with applicable securities legislation which expires 4 months from closing. The final proceeds for this financing are in the amount of $510,200 for a total of 10,204,000 units. The net proceeds from the Offering will be used by the Company to fund exploration work on the Company’s properties in Quebec and for general administrative purposes. The property is along strike and directly adjacent to the past-producing Eastmain Mine property of Eastmain Resources Inc. (TSX.V: ER), which contains 255,750 ounces of gold and 4.1 million pounds of copper, including measured resources of 91,500 tons grading 0.268 ounces’/ton gold and indicated resources of 786,600 tons grading 0.294 ounces/ton (Campbell Resources, 2004 Annual Report, available on SEDAR at www.sedar.ca ). The Chateau Fort property is 18,867 hectares in size and includes Au, Ag, Cu, Zn and As anomalies from Anthem's geochemical surveys (lake bottom, soil and stream sediments). Compilation work has identified nine high-priority gold targets for follow-up. Numerous geophysical targets including a number of high-priority features have been outlined as a result of the recent interpretation of the 2,100 line-kilometre airborne electromagnetic survey conducted over its road-accessible Chateau Fort project in Quebec. The survey was flown during the summer of 2015 by Prospectair Geosurveys (Prospectair) using the ProspecTEM time-domain electromagnetic system with a line-spacing of 100m. Tarku Resources Ltd. is an exploration company focused on discovery in the mineral-rich Canadian landscape. The foundation of the company is based on an experienced management team with a track record of success. The goal of Tarku is to provide success for shareholders through the implementation of strategic property acquisition, the use of proven exploration techniques and the exploitation of fertile ground. Management cautions that past results or discoveries on proximate land are not necessarily indicative of the results that may be achieved on the company's properties.